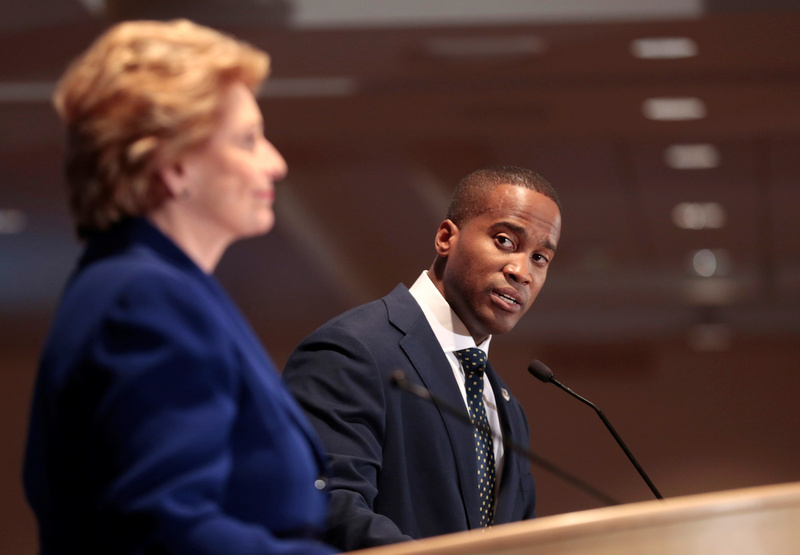 Vice President Mike Pence announced his plans to return to Michigan to campaign for Republican Senate candidate John James the same day a poll in Michigan was released, which shows James within a single-digit margin against Democratic incumbent Sen. Debbie Stabenow, cutting her lead in more than half. The EPIC-MRA poll released Thursday showed James, who was at one point down by 20 points in multiple polls, is now only behind by 7 points, just less than two weeks before the Nov. 6 midterm elections. This comes as James has received a list of big name endorsements, such as from President Donald Trump, Trump’s son Donald Trump Jr., national security adviser John Bolton, Florida GOP Sen. Marco Rubio and many others. Pence tweeted out the new polling numbers hours after it was released, saying he will be at the Kent GOP Lincoln Day GOTV rally on Monday night to campaign with James. The poll contacted 600 likely voters in the 2018 midterm elections between Oct. 18-23. There was a margin of error of 4 percentage points.